At the start of last year I finished working on some animation for a BMX film. 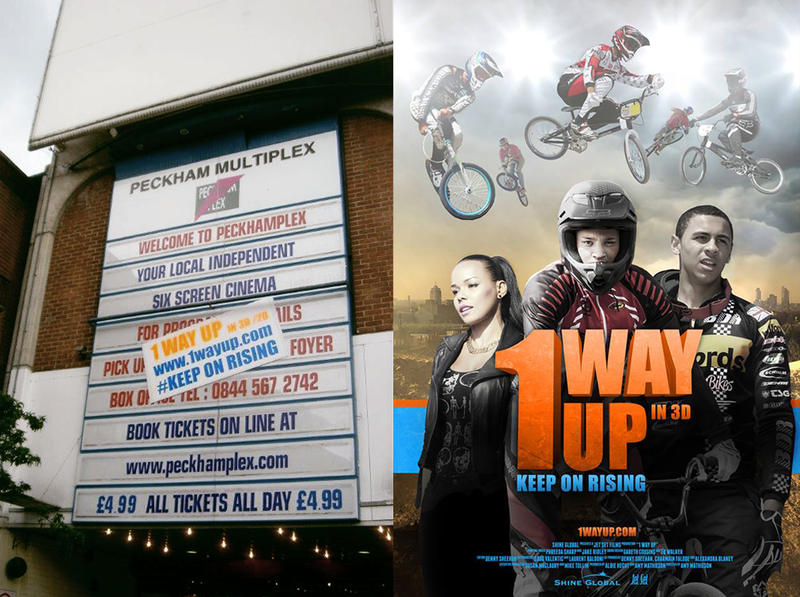 Earlier this week I went to Peckham for the long-awaited premiere of 1 Way Up, the 3D BMX documentary feature telling the story of the rise of Peckham BMX and the positive power sport can have to change lives. I arrived an hour early and had a look around Peckham, the busy high street (with market stalls and heavy traffic) and find my way into the busy library (which was an amazing glass-fronted Tetris block of a building, several stories high with colour-tinted views of the London skyline and buildings either side of the Thames). This busyness and energy was completely represented at the premiere too. On screen, there was heady mix of high-octane BMX race footage, amusing and insightful interviews and news clips; with moments of introspection, music and spoken word performances and animation all adding emotional weight to the story. Off screen there was more live music and, during the screening, lots of clapping, laughing, whooping and cheering from everyone who’d waited so long to see their friends and colleagues on screen. It was a great atmosphere. I really enjoyed meeting so many people who were involved in making this film happen; it’s a thrill-ride with a positive message and an amazing achievement, especially for first-time director, Amy Mathieson of Jet Set Films. I created two hand-drawn sequences of animation that appear in the film (see image below). You can see the trailer via MTV UK here and the catch the film at Picturehouse cinemas across London. 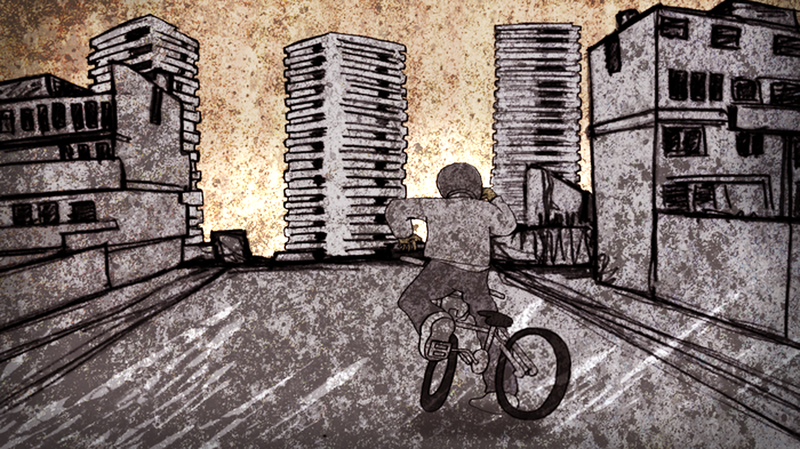 This entry was posted in Animation, Music Video and tagged 1 way up, bmx animation, documentary, Jet Set Films, peckham bmx. Bookmark the permalink. Thanks Michi! That’s very kind of you and much appreciated.